Our family of rental equipment professionals goes back three generations. Being the best means that we serve our customers with excellence every day. Our team of rental equipment professionals are committed to providing our customers the best equipment and most reliable service possible. We believe that good work relies on dependability, integrity, honesty, and teamwork. We’re proud of our team and ready to work for you. 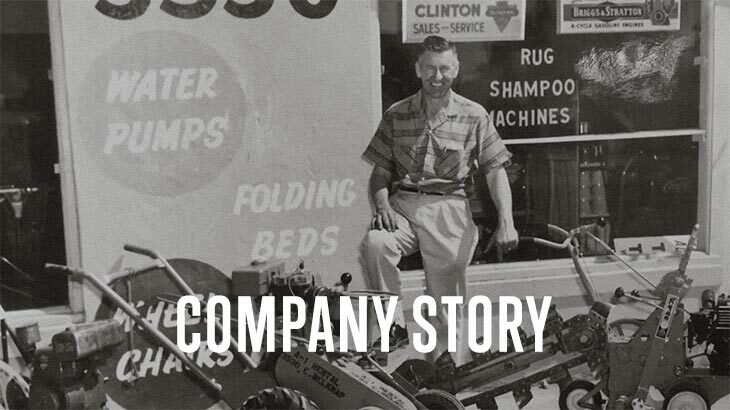 Our family of rental equipment professionals goes back three generations. Rental One President, Mike O’Neal, has been in the Rental Equipment industry his entire life, just like his father and grandfather before him. Our deep roots and commitment to service have established our reliable reputation over the years and our company continues to grow. We get it. And we’ve got it. On behalf of the employees of Rental One, I would like to take this opportunity to thank you for choosing to visit Rental One on the web. We consider it an honor and privilege to serve you, and we look forward to being able to do so in the immediate future. Hopefully, you will find our website as a helpful tool to complete your job or task. Please feel free to contact us through this website or by contacting one of our convenient locations. It is our promise to remain committed to delivering excellent customer service each and every time you call, visit one of our stores, or contact us online. Talk to our equipment rental professionals today to learn how Rental One can help with your project.